Penhale Holiday Flats01323 721684work Self-cateringPenhale Holiday Flats are situated in a quiet residential road just off the seafront, within easy reach of The Sovereign Centre and Princes Park, with its lake, bowling green and putting green. Tennis courts and local shops, including a supermarket, are also within walking distance. Bus stops and the dotto train stop are nearby. We are also close to a cycle track which goes down to the harbour. 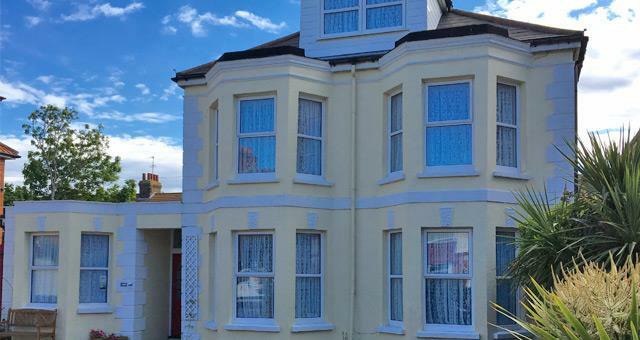 We have four fully self-contained flats which are maintained to a high standard to provide clean and comfortable accommodation for 1-2 people, with a z-bed available for a third person if required. There is a one-bedroom flat (twin) on the ground floor, two one-bedroom flats (doubles) on the first floor and a cosy studio flat (double) on the second floor. All flats are equipped with a full size electric cooker, microwave, fridge/freezer and colour television. They each have a shower room. 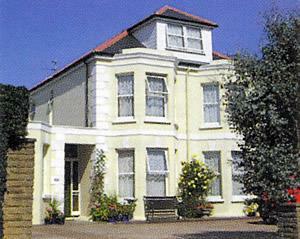 Our rates include bed linen, electricity, hot water and central heating. There is also free parking in our private car park and we are open all year. Changeover day throughout the main season is on a Saturday; however we do offer short breaks, starting on any day of the week, between October and April. Arrival times are between 2pm and 7pm. Penhale Holiday Flats are situated in a quiet residential road just off the seafront, within easy reach of The Sovereign Centre and Princes Park, with its lake, bowling green and putting green. Tennis courts and local shops, including a supermarket, are also within walking distance. Take the A22 into Eastbourne. Take seafront exit at Sovereign roundabout. Penhale Road is 3rd turning on the right past Princes Park.